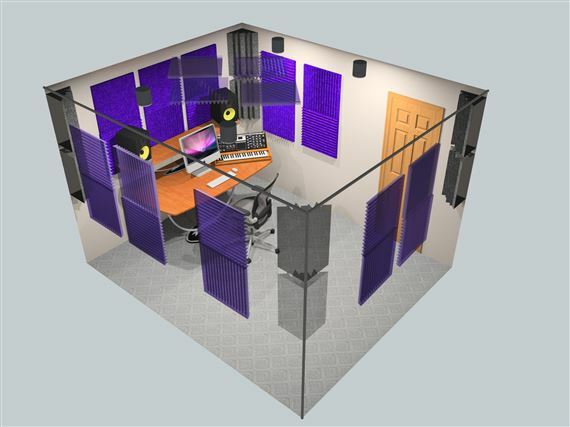 Shop Auralex Project 2 Roominator Studiofoam Acoustic Foam Room Kit from AMS with 0% Interest Payment Plans and Free Shipping. Nobody else ever did it for you, so Auralex took the guesswork out of acoustics and made it EASY AND AFFORDABLE to improve your sound! The Roominators Project 2 acoustic sound control kit is designed primarily for rooms with a floor square footage of <100 ft/sq. The shortest room dimension should be 8-12 feet.